Democratic lawmakers have proposed several bills intended to increase protections for children at migrant shelters, which are privately operated and under the purview of federal agencies. Rep. Kelli Butler, D-Paradise Valley, has two bills that would increase background check requirements for all residential facilities that service children and allow state health regulators to conduct compliance checks on all residential behavioral health sites for children. “We saw that employees might display bad conduct with children in these facilities, but that conduct might not rise the level of a crime, but we still need to know when that happens,” Butler said. 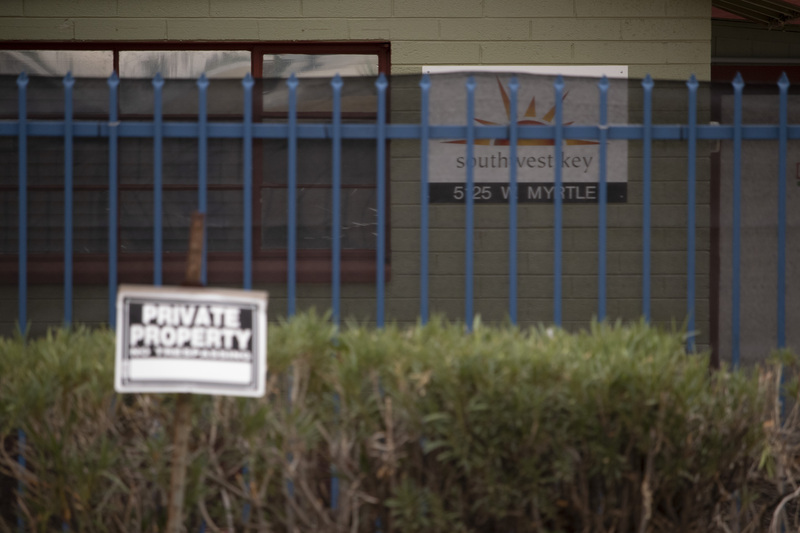 In September, a Southwest Key facility for migrant youth was shut down after reports that staff physically abused three children. An Maricopa County Sheriff’s Office investigation initially concluded there was no criminal activity, but the case was later referred to the county attorney for review. The other proposal, House Bill 2622, gives the Arizona Department of Health Services authority to inspect all facilities that provide behavioral health services to children. Currently, ADHS can’t check on these facilities if they have a valid national accreditation and can only inspect sites if there is a complaint. ADHS can make unannounced inspections at all of Southwest Key’s licensed sites under the terms of a settlement. There’s more than a hundred facilities in the state that provide residential behavioral health services to children. Butler’s proposed legislation is similar to a Senate bill sponsored by Sen. Kate Brophy-McGee, R-Phoenix. This proposal would require central registry background checks for all residential behavioral health centers that service children, and give ADHS authority to inspect those facilities unannounced. The Senate Health and Human Services Committee will hear Brophy McGee’s bill (Senate Bill 1247) on Wednesday. Also in the Senate, Sen. Martin Quezada, D-Phoenix, introduced a bill (Senate Bill 1493) to create an oversight committee for facilities that house migrant children. Quezada said public accountability is necessary in addition to Brophy McGee’s proposed changes. “The status quo allows facilities like these to control what does and does not go public,” Quezada said. The board would have 17 members, including two state lawmakers from each chamber, and professionals in medical, education, foster care and immigration fields appointed by the Governor. A consular representative from Mexico or a Central American country would also be on the committee. Under Quezada’s proposal, the board would have authority to inspect employee records and reports filed with ADHS or law enforcement, review services provided and make scheduled visits to any facility. The group would issue a report of recommendations for the Governor, state lawmakers, and ADHS. Butler also introduced an identical bill (House Bill 2722) for an oversight committee of migrant shelters.